Bathukamma Panduga Festival is one of the most important and unique festival in Telangana and Andhra Pradesh. Bathukamma 2019 begins on September 29 and ends on October 7. It is also the state festival of Telangana. The festival is mainly observed by women and is dedicated to Goddess Bathukamma – who is an incarnation of Goddess Sati. The first day of Bathukamma Panduga is on September 29, 2019. The festival concludes on October 7, 2019 with Chaddula Bathukamma. Bathukamma means ‘come back to life mother’ and is asking Goddess Sati to return back. Legend has it that Sati returned as Goddess Parvati and therefore the festival is also dedicated to Goddess Parvati. The idol of the Goddess Bathukamma during the festival is made using flowers. The murti of Bathukamma is immersed in water on the final day of the festivities. During the Bathukamma festival girls and women arrange flowers on a big plate in vertical format – like a cone with a flat top. Circular rows of different varieties of flowers available during the season are placed on top of one row. The number of rows varies from region to region and is left to the discretion of the women making it. Turmeric and a dry coconut is placed atop the flower cone pyramid. This flower cone with flat top is worshipped as Bathukamma. Women and girls stand in a circle and sing songs as they go around the colorful Bathukamma (s), which is placed in the center. Women clap, dance rhythmically around the Bathukamma flower murti. On the final day, women gather at a temple pond or a lake, again sing and dance, after which they immerse Bathukamma (s) in water. Bathukamma songs are hugely popular and women take pride in singing them beautifully. Women and young girls clap and sing the rhythmic folk chants around in small circles. One of the most important Bathukamma Panduga rituals is held at the Bhadrakali Temple in Warangal. The sight of neatly dressed women and girls in saris and other traditional dress with jewelry and lots of flowers on their hair and with Bathukamma (s) in their hands, or on their heads, is a wonderful sight. Bathukamma is celebrated with flowers grown in the Telangana region. It is the symbol of Telangana’s cultural identity and is the now the State festival. Bathukamma is observed after monsoon when the rivers, ponds and lakes are filled with water and when there is an abundance of wild flowers. 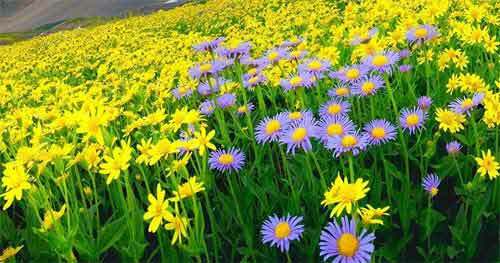 The flowers created a floral carpet on the uncultivated and barren plains. The main flowers used in the festival are gunuka poolu, tangedu poolu, banti, chemanti and nandivardhanam. The final day of Bathukamma which coincides with Dussehra is known as Saddula Bathukamma. Married women return back to their parent’s home during the Bathukamma festival. During the first 8 days of the festival, women make small Bathukamma (s), sing and play around them and immerse in a nearby pond. On the final day, big Bathukamma (s) are made and men collect huge quantity of wild flowers for the women of their houses. The flowers are arranged in a circular pattern – one row on top of another – in a brass plate (called taambalam). In the evening, women appear in the best colorful attire along with ornaments and place the Bathukamma in their courtyard. The women of neighborhood also gather in a large circle around the Bathukamma. They start singing songs by circling it repeatedly. Finally, women carry the Bathukamma to a nearby river or lake. The procession is colorful and folk songs fill the route of the procession. The Bathukamma is immersed in the river. Women then share a sweet made of sugar and corn flour bread known as maleeda. During the entire 10-day festival women make Bathukamma and Boddemma (Goddess Gauri) murti with mud. It is then immersed ponds. This helps to reinforce the ponds and retain more water. 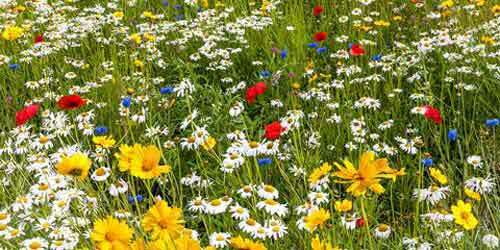 The wild flowers purify the water in ponds and rivers. Bathukamma festival reminds one of the necessary to live in harmony with nature. The festival is dedicated to the hardworking women of Telangana. Bathukamma at the Thousand Pillar temple, Bhadrakali temple and Padmakshi temple in Hanamkonda. Women, young and old, in their best attire head to the nearby temples and street corners to celebrate Bathukamma. They carry trays arranged with a variety of flowers in a cone shape. They vie with one another in arranging the flowers as high as possible. Though the evening rituals last for an hour, the women wake up early and prompt their children to collect as many flowers as possible from the neighborhood. All the flowers available during the season “Cassia (thangedu), luffa (bera), celosia (gunugu), nelumbo (thamara) cucurbita (gummadi), marigold (banthi), crossandra (kanakambaram), ixora (ramabanam), hibiscus (mandhara), and so on are collected and attractively arranged. Women mostly gather at the Thousand Pillar temple, Bhadrakali temple, Padmakshi temple in Hanamkonda and some of them look for street corners in their respective localities. They form a circle and place their ‘bathukammas’ in the centre. They form a circle clapping and dancing rhythmically. All songs carry the essence ‘long live mother’ urging the goddess to take birth. These moments last for nine days during the Durga Navaratri celebrations preceding Vijayadasami.